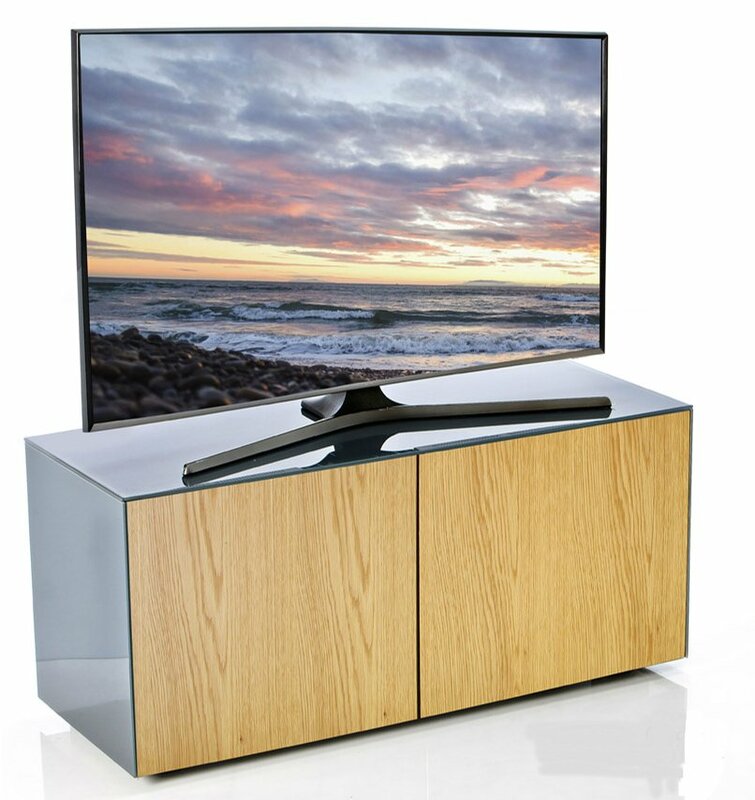 Frank Olsen Grey and Oak TV Cabinet For TVs Up To 55"
A range of ‘Intelligent AV furniture’ designed with a passion for modern life. The Frank Olsen designs are far more than being furniture alone. 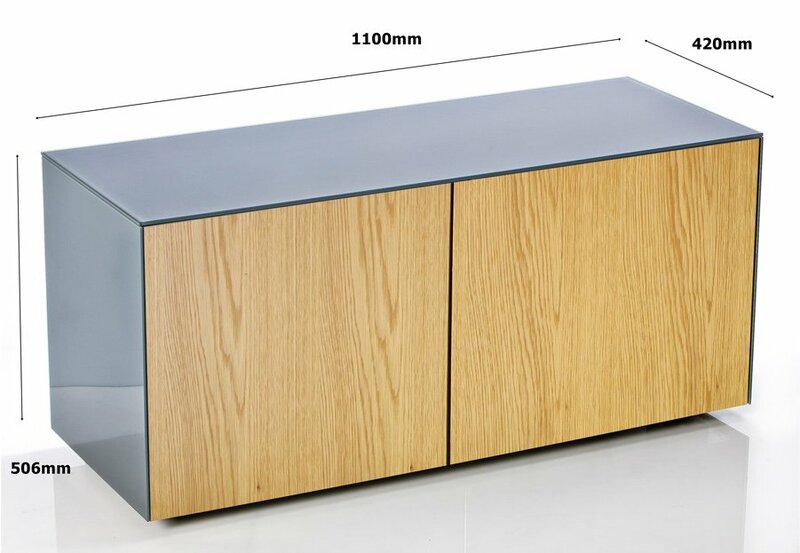 They are feature rich, developed to high quality specifications, combined with stunning aesthetics and intelligent features which bring it to life and set it apart from any other furniture range. Every detail has been thought through down to the fantastic storage capacity for both AV equipment and general modern family life. This really is furniture that lives with the family or the AV enthusiast and goes way beyond the expectations of a TV and storage cabinet. 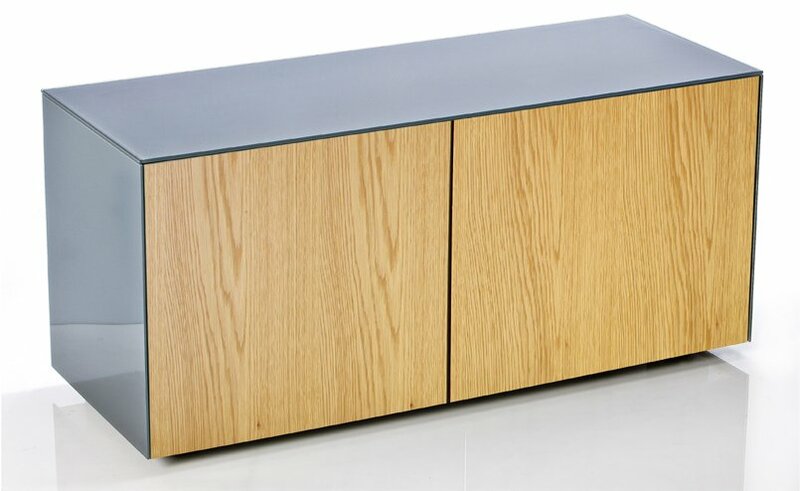 Featuring rich oiled OAK veneer doors giving a true warm and depth to the quality of the OAK and the overall design. The Frank Olsen Intelligent eye remote control manager. 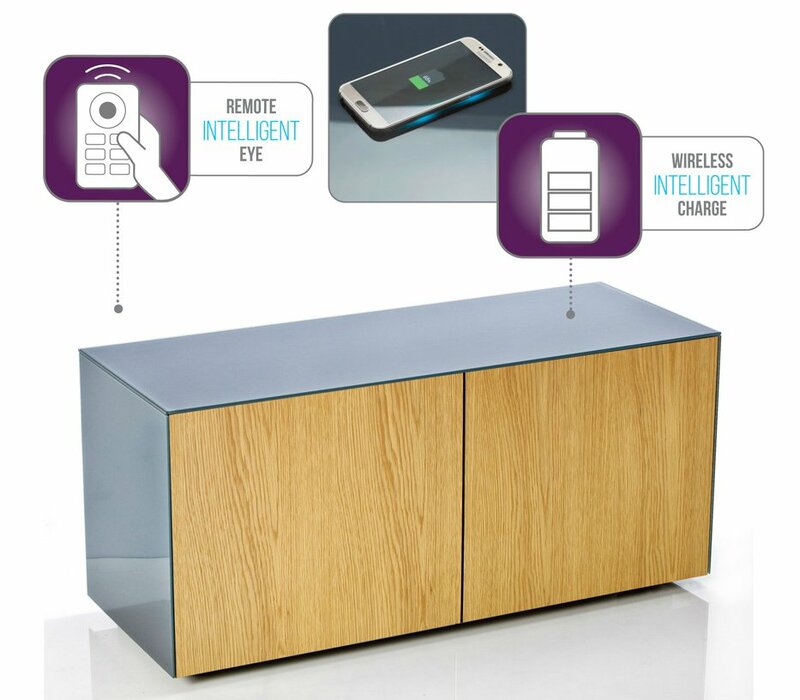 The Intelligent eye system enables the use of up to 8 pieces of AV equipment to be operated as normal by the standard remote controls with the doors closed and all equipment out of sight. With this feature, the stunning design will not be ruined by seeing what is inside to watch the TV. Fantastic storage capacity. Perfect for the family with gaming, Blue ray, streaming services etc and importantly, plenty of storage for magazines, books, games and the family things we all seem to need somewhere to tidy away and hide from sight.